Come join the fun on fedora-art-list! Also, check out the list of proposals we’re working with from round 1.
with say 6 or 7 common desktop icons like folders,files,trash,home..using the default theme…scattered around. To really evaluate how functional the design in I think we need to see it in the context of default desktop icons laying on top. I always fear that the designs are like from an artist..hang on my wall in a frame..point of view..won’t work well when I’m hunting for desktop icons. Consider this my vote for the blue gears! I love the blue gears. Really one of the best Fedora background proposals I’ve ever seen! I really like it – best FC artwork i’ve seen. You do realize that gears are essentially KDE’s trademark? Seeing something which looks a lot like the KDE gear used as a background in GNOME or XFCE looks really out of place to me. 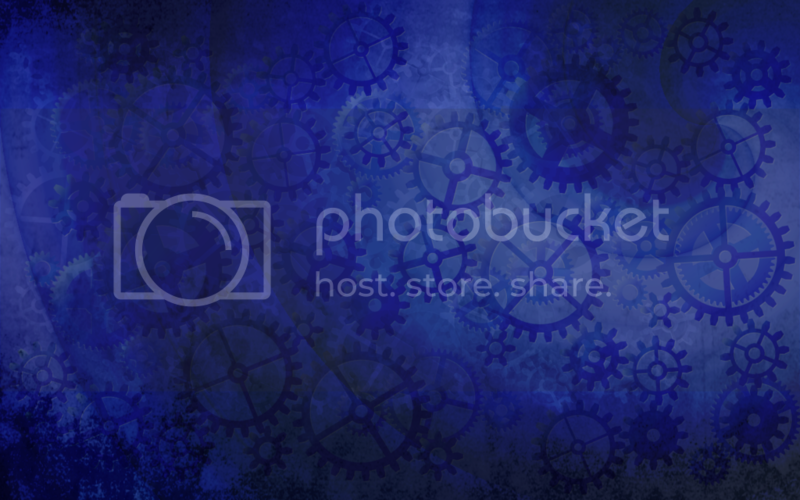 Especially the blue gears in blueswirl.png look a lot like those in KDE’s and some KDE-based distro’s (e.g. Kubuntu’s) logos. Gears are just generic items and cannot be trademarked. 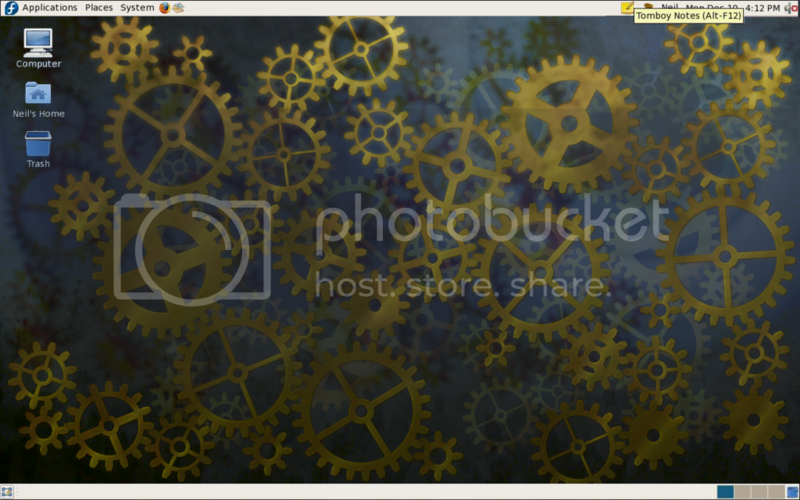 I don’t see any reason not to use the concept for a Fedora theme. If KDE successfully managed to trademark gears, I’d be really impressed. I seriously doubt that is the case, though. I don’t even see a ‘TM’ label on the KDE logo which could be problematic. These gears don’t actually look much like the KDE gear, anyway. Which KDE gear should we talk about first? The KDE logo gear is cropped so it’s a semicircle, spun diagonally; it does not have the center crossbars of the gear that these gears have; it’s white and solid and not as detailed as these gears. Here’s another KDE gear I’ve seen before. I don’t even know if it’s still in use. But right away one key difference is that it is extruded. The gears in this artwork are not; they are flat. The KDE gear here also has a bit of a perspective; it looks like it is coming towards the viewer from the bottom and the top of the gear is further away. Again, the gears in this artwork I posted here are FLAT. There is no perspective and no shearing/distortion. I hope this addresses your concern. Blue + gears does not a KDE trademark make, sorry. The problem is not trademark but the perception. 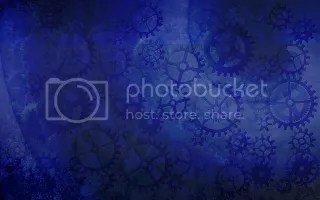 For me, and I am sure many others, blue gears on the desktop are sign of KDE. I doubt anyone would even think of taking any kind of legal action about it though. People with that state of mind tend to stay away from open source projects. Is it seriously a problem if people associate Fedora with KDE? Is quite hard to make my mind about which one I like the best: I like the all blue (probably a slightly different shade of blue, as discussed on the list) for simplicity and uniformity but I am also tempted by one of the golden versions for the steampunk link. Will have to think more about that. Those are the best I’ve seen actually. I prefer the blue one because there is more contrast, but if you want to do a steampunk thing, the second one have more appropriated colors. 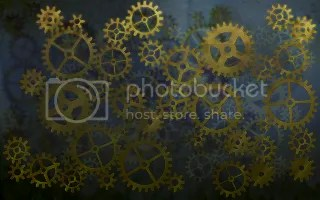 I think you should work on the depth of the wallpaper: actually all gears seems to have the same orientation, you could create a bit of 3d illusion by adding some gears in another orientation. 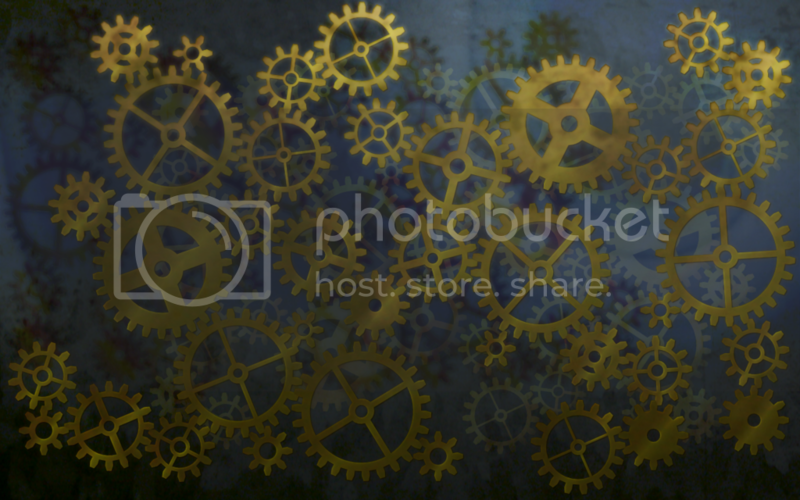 Other idea: adding a big gear (the whole wallpaper), but blurred or just the general shape, at the background. A bit like in the blue wallpaper.